You'll see the "Choose a theme" section on your profile page just below the email address field. 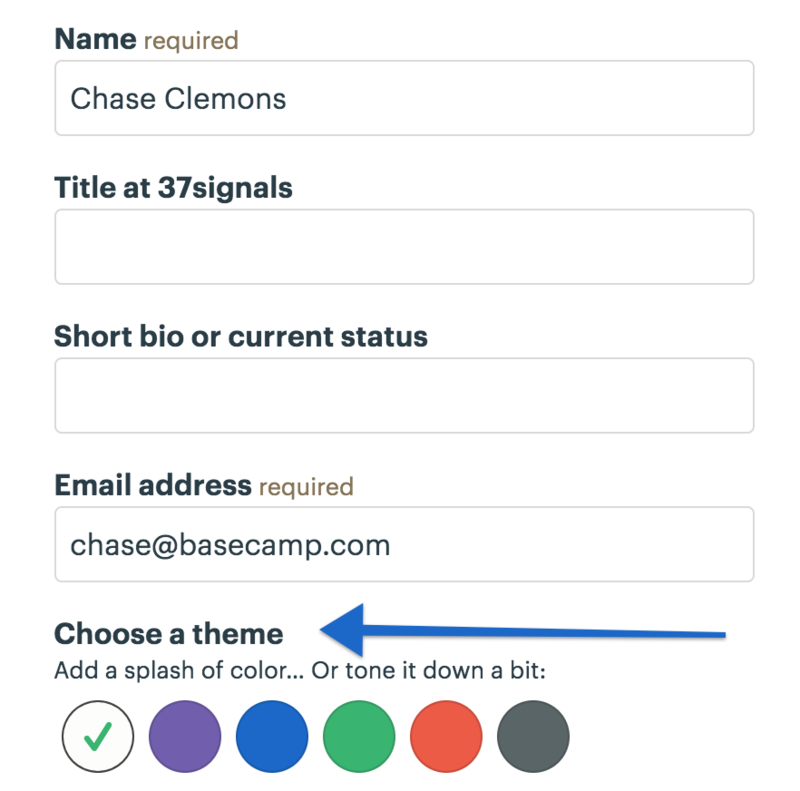 Choosing a theme on the top row adds a splash of color to Basecamp by coloring the Jump Menu, Help icon, and the profile menu shown when you click your avatar. Choosing a theme on the bottom row adds color to the navigation bar (not the drop-down menus), Jump Menu, and Help icon. Changes made to your theme in one account will not sync across your other Basecamp accounts, this should help you differentiate between accounts at a glance. Themes won't sync between Android and iOS platforms. That means you can set totally different colors on those devices to suit your preference.